Learn how to solder from the one and only Mitch Altman! Even if you have never made anything in your life, you can learn this very useful and enjoyable skill. It really is fun! Mitch Altman has taught tens of thousands of people to solder all around the world, and he can teach you too! Mitch will bring kits to make cool, practical, intriguing, hackable things that you can bring home after you make it. Of course, you can also bring your own projects to hack. And if you have anything to fix, bring it by! Instruction is free! You’ll only pay for the cost of the parts used – kit prices range from USD10 to USD30. Mitch Altman is an important figure in the international “hackerspace” and “maker” movements. While attending the 2007 Berlin Chaos Communication Camp, Altman and Jacob Appelbaum began discussing the idea of a San Francisco hackerspace, at which time there were no hackerspaces in the United States In October 2008 he co-founded Noisebridge which was probably the third hackerspace formed in the US. 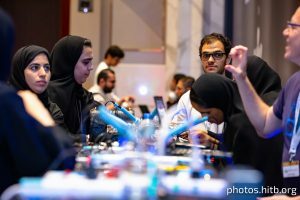 Since then, Altman has traveled extensively, encouraging the formation of hackerspaces, holding panels and workshops on depression, teaching introductory electronics workshops to people of all ages and visiting electronics enthusiast groups around the world. TedX Brussels invited Altman to give a Ted Talk the Hackerspace movement, Make magazine has referred to Altman as “the Johnny Appleseed of hackerspaces”, and Altman, who has also written for the magazine, was awarded the first “Maker Hero” award—named in his honor—by Make Magazine on May 20, 2011.